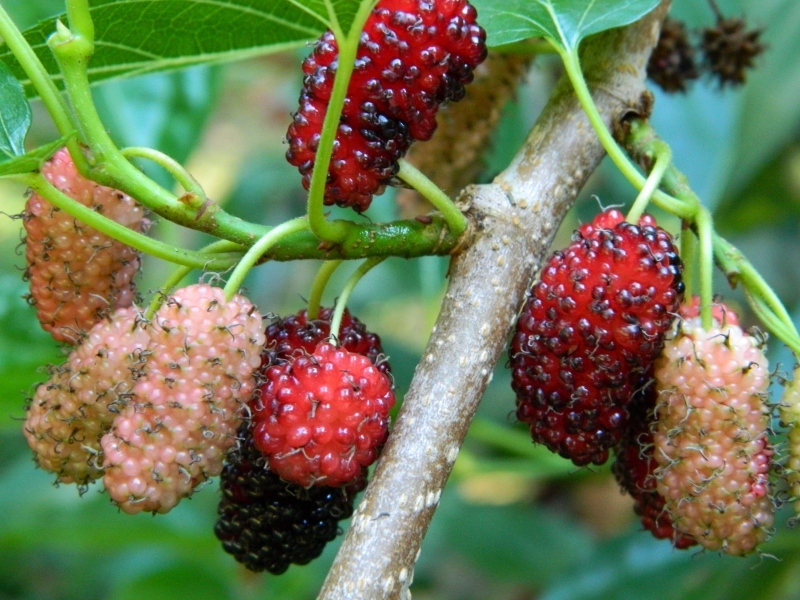 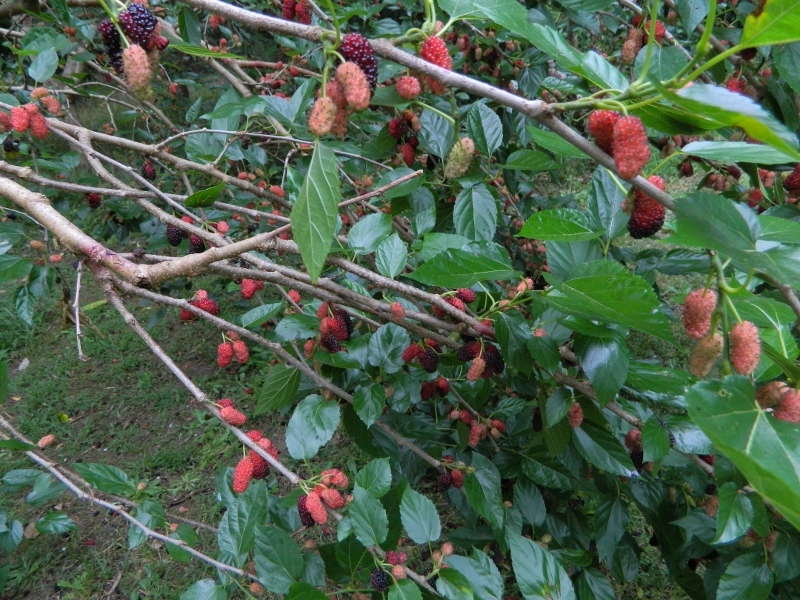 Since finding the mulberry tree at the bottom of my garden soon after I moved in, I have done nothing to it except severely prune it about 18 months ago – no water, no sprays, no fertilizer – nothing. 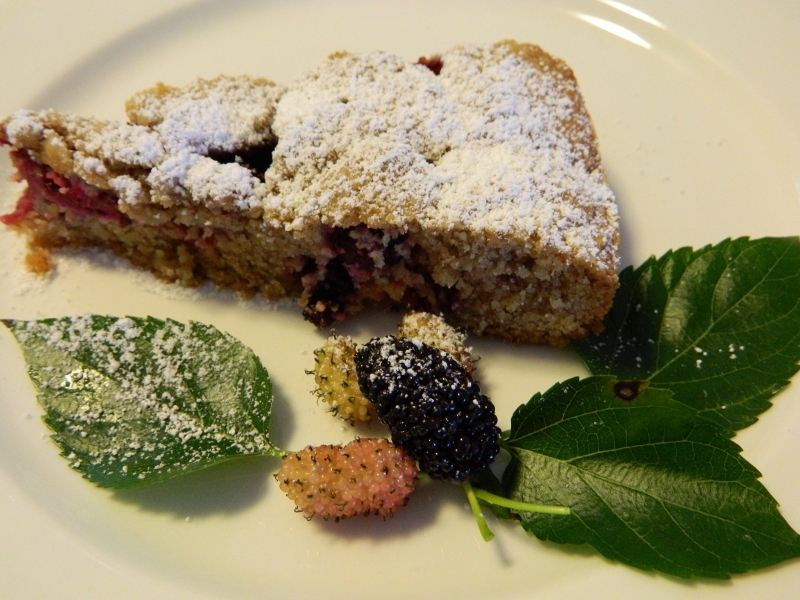 Goodness knows what would have happened if I had lavished it with care…. 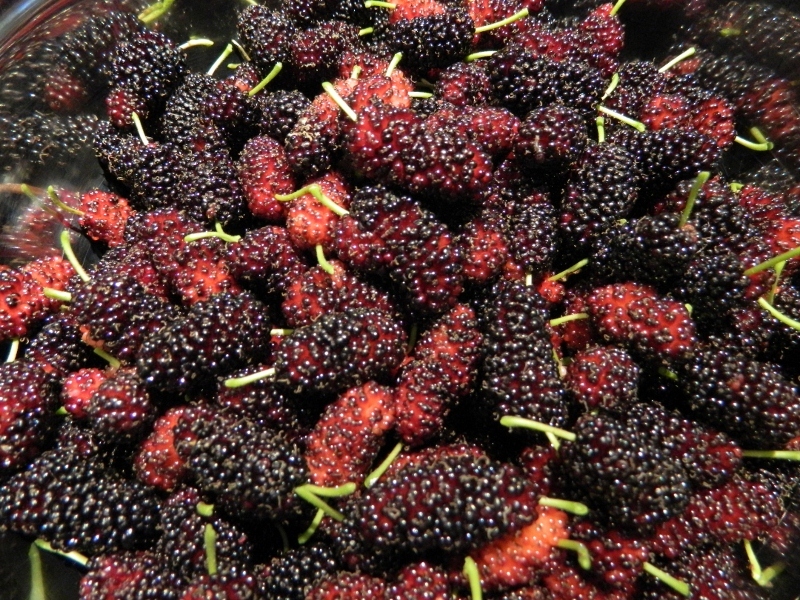 So my freezer is full of mulberries, and so is Des & David’s (thank you), and now I need to add to my single mulberry recipe repertoire to avoid boring everybody including myself!